I love designer watches, but I have to be realistic about it and admit that I could never afford to spend thousands of dollars on these luxury products. My only choice is to buy very good quality replicas instead- clones that look, feel and function just like the real things. These 5 stars imitations are not easy to find and it takes an expert to recognize one. Don’t worry; you too can learn how to spot a high quality replica in minutes. Simply read the below review to find out how this can be done. 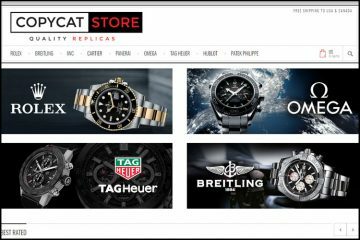 You will soon discover that there are endless online sites that claim to offer identical fake designer watches at affordable prices, but not all can be trusted. Everlastings.cn is one of those merchants, one of those who promise the best there is out there. If this is really true is something that we will discover below, in this detailed replica watches online store review. Frankly, the looks of this website are anything but flattering. The homepage is poorly designed and utterly unattractive. 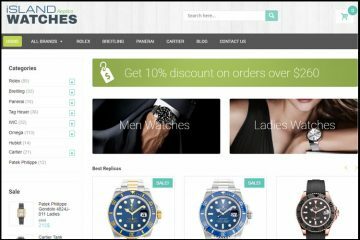 The white and gray color scheme, the pixelated sliding banners, the unfriendly layout and the lack of modern visual features turn this website into a blunt and common looking online store that discourages its visitors from shopping here. Because, once you enter the page your first impulse is to exit right away as you feel that it doesn’t have anything interesting to offer. 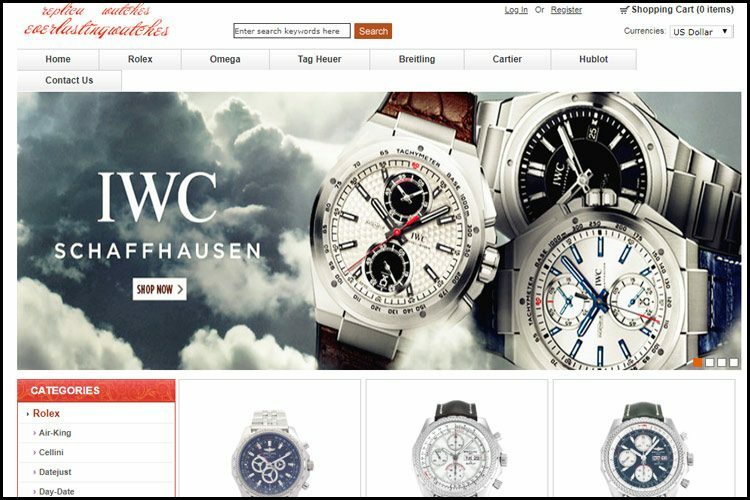 On the top side of the screen there is a simple menu bar with a few of the most popular brands like Breitling, Omega, Cartier, Hublot, Panerai and Tag Heuer. The thing is that this company doesn’t offer that many designer names. In fact, it carries only 11 of the most famous and sought after brands. Funny thing, Rolex is not among these available designer names even though it is one of the most desired watchmakers in the world. 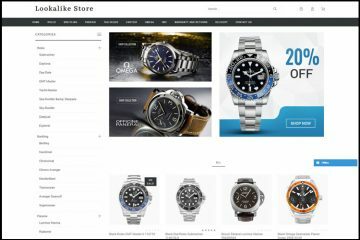 Not offering Rolex replica watches means that the fake merchant is not able to meet the preferences of most online shoppers; thus losing a large part of its potential customers. The overall collection is not that large. Every brand is organized into sub-collection and every sub-collection includes only about a dozen different models. But let’s look at the bright side, the products are easy to browse without needing an advanced search option or filter. From what I can tell this company does not value either quantity or quality. Not only that it carries a very small number of replica watches, but the quality of the movements it offers is not that great as one might expect. The clones available on these sites come only with a quartz movement or with an Asian automatic self-winding mechanism. 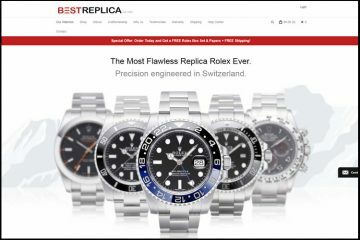 There are no Swiss fake watches displayed on this e-shop. The Asian automatic movement imitation timepieces cost about $140-$160 while the quartz movement knockoffs are called multi-quartz and cost about $180. Now it is time to see how accurate looking these replica watches really are. 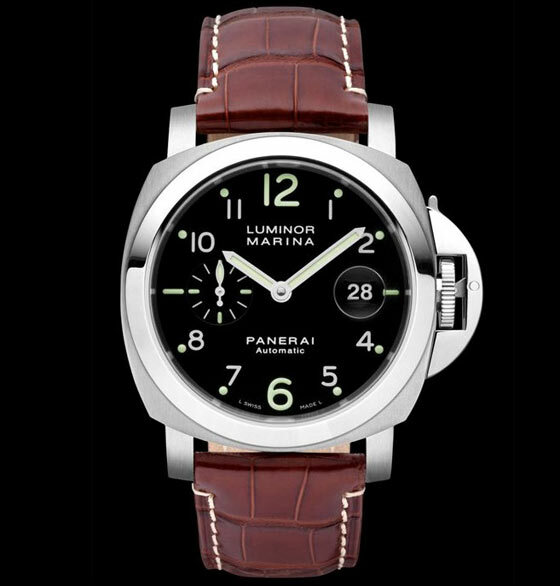 For this I have selected a Panerai Luminor Marina with black dial stainless steel case and brown leather band so I can compare the authentic watch with the replica by using pictures of both products. At first glance, it seems that these knockoffs are pretty identical, but there are some minor cosmetic differences that can be spotted by a trained eye. 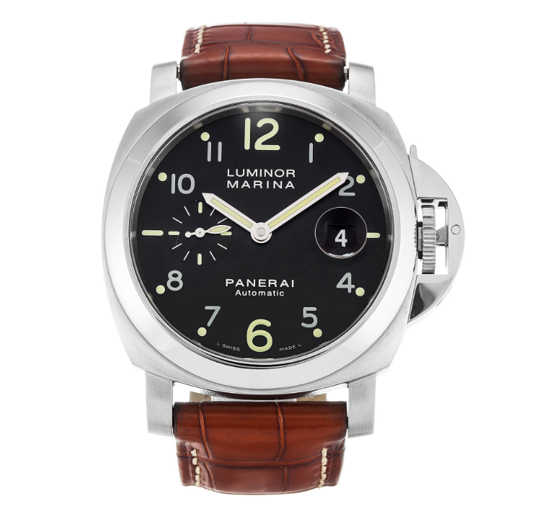 What I could identify as being different and I consider as being very bothersome are the smudge/scratch on the 9 o’clock power reserve sub-dial, the date window that appears to use a different font, the luminescent markers that are in a more yellowish color than the original ones and the poorly finished crown guard. The product photos listed on this website are very good. It is very difficult to believe that these are not of the original watches. Every item has about 3 good quality images that display the replica from numerous angles, showing the most important details and parts of their design. There is no watermark on the images, but from what I can tell these are professional photos taken in the company’s studio. Everlastings.cn is one of those online replica stores that accept only credit card payments. It does not offer other ways of paying for your order like Western Union, Money Gram, Paypal or Bank Wire. Don’t get me wrong; I am not a fan of money transfers, but there is something I do not like about websites that take only card payments and do not even bother to secure their page for online transactions. This is actually the major problem, that the page isn’t https and anyone can hack your card details. Considering all of this, paying with your card on this site raises a huge security question mark. From my point of view, the delivery fees on this website are a big “no no”. To deliver a package to the US the company charges $25. That’s a lot and it is not even UPS, FEDEX or DHL. The order is being sent with EMS and the estimated delivery time is about 10 business days. I think that that’s way too much for delivery. I am used to those replica merchants that deliver your package for free worldwide even if they too use EMS. At least it is free. The refund policy is simply awful. Everlastings.cn claims that you have only 2 days from the day you get the replica watch to decide if you want to send it back for a refund and immediately contact the company and inform them of this decision. And you can send it back no later than 3 days after receiving it. Of course, all the return fees are yours to pay and there is a 15% restocking fee. For an exchange, you have 7 days to return the product and it needs to be in its original state, unworn and with all the packing and receipts. I am the type of online shopper that cares very much about good quality customer services. From my point of view, it is very important to be able to contact the company easily and enjoy a friendly and professional response from its end. If you are unable to get a hold of their merchant and be treated correctly than how are you supposed to solve your order related problems? This online site doesn’t seem to approve as it does not offer customer support by phone and chat. It doesn’t even bother to list a contact email address. The only way of contacting its staff is by using a Contact Form embedded in its Contact page. I don’t think that the replica watches offered by this page are so everlasting. From what I see on the site, the replica watches appear to be pretty good quality, but unfortunately the Swiss automatic movement isn’t available. It only carries Quartz and Asian automatic movement. Other good things about this merchant are that it has very affordable prices and good product pictures. Of course, there are also some bad aspects such as the expensive delivery fee, the short time frame for requesting a refund and the poor customer services. I guess that in the end it is up to you if you feel that you can trust this online store with your money or if you are better off not ordering from this place. I just bought (Aug 2016) a fake navitimer from this website and the item I received did not look like the item e.g. white small dials in picture but silver when I received it. The pictures do not represent the items sent. I spent a small amount of money to buy their own satisfaction with the watch,No problems in the process.